Secretly, the most Syrians say, that Assad will not make it. Many have started to support him, since the external interference in Syrian affairs came to light, just after a few days; at least for the insiders. In recent days, the “Frankfurter Allgemeine Zeitung” has – but not only this newspaper globally – discovered, that the NATO media were just as misguided about the massacre of al-Houla (al-Hula) as later the Western countries on the UN Security Council (UNSC). But that therefore only a Syrian ambassador returned back to his job, any excuse on the part of NATO, some new advances to break the bloody power play of Washington: No chance! This encourages the Turkish war-monger of the first hour, Prime Minister Erdogan, against the express wishes of more than two-thirds of his people, to incite against former friend neighboring Syria. This benefits neither the democracy in Syria, nor the Syrians there – and this is exactly how it also behaves in Turkey. Strangely, that all the European powers, who have in former time so often insisted that Turkey should be democratized, now, when Erdogan occurs as a regional terrier with American-Israeli interests, suddenly have fallen into a profound silence on this issue – although they also incite against Syria, as it is commanded by Washington. But also deeds accompany the words. Slowly, it becomes more clearer, that all the (allegedly) acts against the smuggling of weapons in the region, in reality establish the glossy possibility to supervise the smuggling of weapons to Syria. Apparently, also Germans are involved in this. As the author has learned from a Turkish middleman of the Syrian military and intelligence officers, about 40-60 Germans should be in Syrian custody. The Syrian sources say, that the Germans had been arrested red-handed at the Syrian Mediterranean coast on Syrian soil, as they wanted to smuggle weapons to the insurgents ashore by the help of two speed boats. These supplies were previously reloaded from a freighter anchored in international waters. All German prisoners are, according to the same Syrian security circles, German citizens, including naturalized persons from abroad. All are employed by a private security company in Stuttgart. These Germans had advertised for jobs, according the Syrian information, in various positions in the security area; and were then approached by the Stuttgart-based company and trained in a camp near Stuttgart. Five months ago, these men were stationed in Libya and they were captured about two weeks ago, near the Syrian Mediterranean port Tartus (Tartous), five or six miles north of the port of Banyas. On Wednesday, this matter will be probably no topic at the “question hour” of the German Federal Parliament; by the request of the Left MPs Inge Hoeger (Inge Höger), who is also a part of the defense committee, because the topic of “defense” was placed far back. The answer will be in writing and can therefore last some time. Various media report about deserters from high ranks. This erosion process is late, but it will go on – as always in these things: the longer, the faster. We all know “how the doom (fall) works”. We have witnessed the gruesome death process of Libya, as NATO has organized it. One thing is clear: The government in Damascus has no other concepts except military actions. And also this does not follow a precise concept, since it varies continuously between military needs and political considerations. This is to deliver in addition if one wants to create a reasonable chance of success. What is missing is a forward-looking acting government, something, on that the Syrian citizens wait in vain for decades. 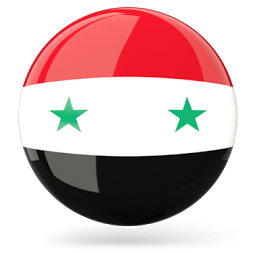 – an open communication behavior of all Syrian ministries, so that the population knows what to expect when and where, and why. – a networked surveillance system by local citizens, with the help of police and military, in addition with intelligence agencies, in order to immediately recognize and effectively combat infiltrating insurgents. – a system that immediate organizes the coverage of the fighting and also instantly integrates the State Department, because of the protests against any external interference, mercenary payment and equipment and so on. If it were possible to bring the institution Syria up to speed in such a way, that would be a miracle. But already the recent constitutional referendum and the elections were miracles.